Nyko’s fugly but functional alternative to the Wii remote has been chosen as the winner for CNET’s “Best of CES” award in the gaming category. 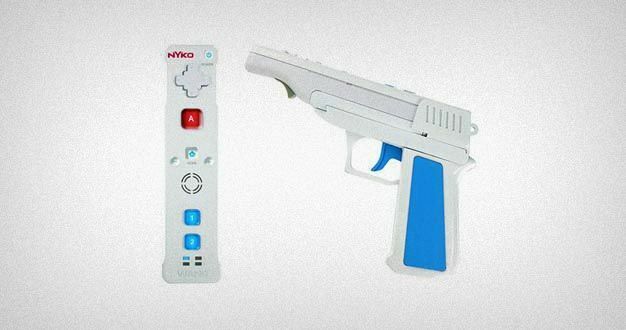 While it may not be winning any fashion awards, it seems that the improvement in technology over the vanilla Nintendo Wii remote is being recognized. We reckon that Nyko’s “Trans-Port” technology is what has grabbed it this honor. The ability to electronically replicate key presses in an attachment is definitely an improvement over the alternatives out there. The idea of actually having a gun attachment with a functional trigger tickles that arcade shooter part of my brain. Our question is though, what other types of attachments can they make using this functionality? Yes, we’re drawing a blank, a gun is pretty much the be all end all for these type of things. Light saber, sword, baseball bat, golf club and even spatula don’t really require buttons. The only thing we can think of at the moment is maybe a Star Trek triquarter and that would just be freaking awesome.